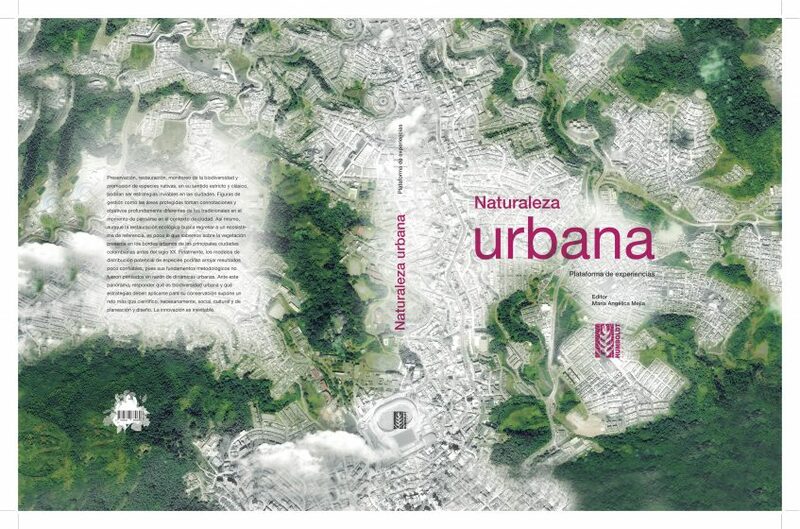 A review of Naturaleza Urbana. plataforma de experiencias, edited by María Angélica Mejía. 2016. ISBN 978-958-8889-69-6. Instituto de Investigación de Recursos Biológicos Alexander von Humboldt, Bogotá. 208 pages. The Spanish version of the book can be downloaded here. An English version will be available in September. In 2007, people living in towns and cities surpassed 50 percent of the world’s population for the first time in history. Urbanization increasingly affects both neighboring and faraway landscapes through habitat fragmentation, degradation of the soil, water and air contamination, solid waste disposal, surface sealing, and associated impacts. Latin American cities, as complex arrangements, have been overlooked for too long by ecologists. In Latin America, 80 percent of the population lives in cities, where demands for space and social and environmental pressures are high. Unfortunately, most human settlements and cities have grown chaotically, which is one reason why they frequently feature juxtapositions of rich and poor and planned and unplanned spaces, and are segregated both spatially and socially, with uneven availability and quality of green, blue, and gray infrastructures. Although cities are the environments in which most Latin Americans live, studies on these multifaceted systems of patches, with their distinct geometries and distributions of built and open spaces, are very few in number across the region. Latin American cities, as complex arrangements, have been overlooked for a long time by ecologists, who have preferred to focus their studies on natural ecosystems, attracted by the exuberance and uniqueness of pristine landscapes. On the other side, those responsible for the construction of the city—architects, engineers, planners and placemakers—built on the landscape without realizing that a city is a complex living ecosystem. This failure has added to the impact of urban residents’ daily actions on the metabolism of the city. Naturaleza Urbana. plataforma de experiencias provides a new way to look at Colombian cities as holistic constructs. It shows that the country is a pioneer in the multidisciplinary and intra-disciplinary discussion on urban ecology, which aims to build livable and attractive cities. 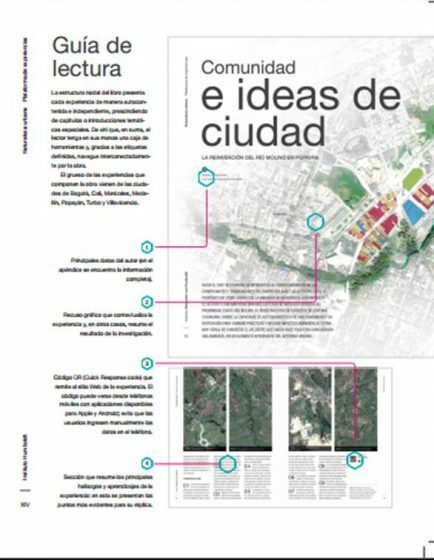 This book, written in Spanish—an English version is due by August 2016—and created by the Humboldt Institute is a collective work called to integrate different visions for managing urban biodiversity through a variety of experiences based on multiple social and ecological Colombian realities. The book would never have happened without the willingness of more than 80 authors who belong to civil organizations, local governments, universities, and research institutes, to share interesting initiatives to preserve, restore, assess, and use urban nature. They achieve this task via 36 case studies delivered within 13 thematic categories, through which the book integrates nature, ecosystem services, management, and urban planning. Most of these examples come from a variety of Colombian cities: Bogotá, Cali, Florencia, Manizales, Medellín, Popayán, Quibdó, Riohacha, Turbo, and Villavicencio. Some case studies also describe the importance of periurban areas, mountains, and wetlands. The book also includes some exemplary descriptions of ecological restoration and rehabilitation, conservation of biodiversity, and knowledge exchange carried out in Rio de Janeiro (Brazil), four African cities, and the United States. Each experience is presented independently of the rest; the book starts with a fundamental context and ends with an array of key learnings. One can read the book from start to finish, or select one experience without losing understanding of the social-ecological integrative approach proposed. Naturaleza Urbana. plataforma de experiencias is exquisitely designed and illustrated and elegantly edited. It is written in an entertaining and easy to read style that makes it accessible to all readers. This landmark, timely book should prove extremely useful for Latin Americans. Almost all the experiences detailed here can be applied to many cities sharing similar problematic situations; in this sense, it is an ideal reference book for everyone from policy planners, to students, to citizens. With this release the Humboldt Institute invites a wider readership to the exchange of ideas that makes cities better places to live. si te interesa este libro (.. que està excelente! ), entra a la pagina del instituto Humboldt en Bogota y alli hay un link desde el cual lo puedes descargar y cuando lo leas, deja un comentario en esta pagina, a ver que te ha parecido el libro! Architecture Networks Sustainability Conservation Value Planning Health Tools Experiencing Nature Climate change Wetlands/Rivers/Streams Governance Communities Asia Resilience Art Disasters/Red zone North America Biophilia Pollution Development Participation/Democracy Policy Culture Education/Knowledge/Learning Biodiversity Parks Economics Ecosystem services Stewardship Landscape Wildlife People Interactions Livability Water South America Awareness Design Gardens Justice What is urban nature?